I’ve read somewhere that in a study, termites eat faster and, thereby, more when subjected to heavy metal music. Perhaps, that is the idea behind the EDM that patrons are blasted with at Pizza Republic. Way to wake up the appetite. Hopefully such effect extends to one’s metabolism, as well. The crowds have finally let up to allow parking outside the single-storey joint. The rather simple, industrial loft-style interiors funneled attention to an acid yellow wall and the pizza assembly bar in front of it. 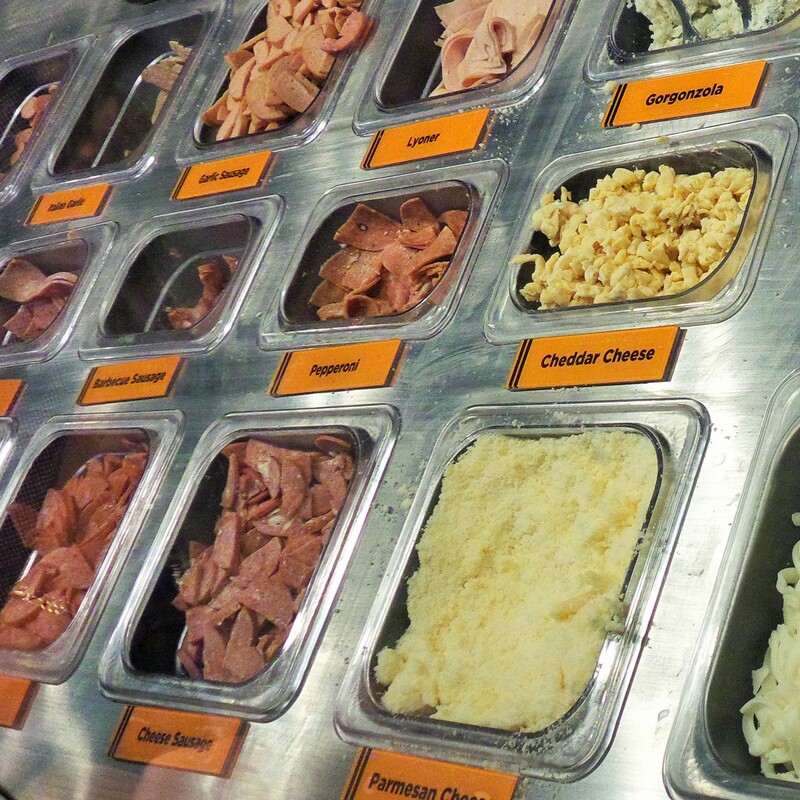 A wall clad in brushed-steel displayed their best combos from which we picked out the protein-heavy Porcini — mozzarella, porcini, bacon, herbs and eggs. We decided to go crazy on a “Pick + Mix” for a second order. We started with a coat of Special Pizza Republic Sauce, the make of which I was not able to note, on the freshly-prepared pizza dough then piled on the Cream Cheese, Mozzarella, Cheddar, Parmesan and my current favorite, Gorgonzola. We didn’t stop at Cinque Formaggi , adding Smoked Pork Loin, Porcini, Bacon, Champignon Mushrooms, raw and Caramelized Onions, dried Basil, Arugula and more Bacon. This baby came out of the oven a steaming, sloppy, molten mess with a very heady pungency from the deadly combination of cheeses. Creamy flavors from the Cream Cheese contrasted against the sharpness of the Cheddar, the bite from Gorgonzola and the umami from Parmesan all held together by the slightly sweet chewiness of Mozzarella. The bacon and smoked pork loin gave it the much appreciated meat textures and flavors. As it is often said, one can never have too much bacon. Mushrooms balanced out the flavor intensity while the onions and arugula gave a refreshingly herby punch. What calorie limitations? The Porcini Pizza was heavy on that mushroom which seemed to take on the taste of the Bacon. The biscuit-thin crust came up pretty crisp with moisture coming in moderation from the single cheese topping. Pretty much the most protein-packed among the combos with bacon and eggs, I’d daresay this would make a great post workout meal during a bulk phase. 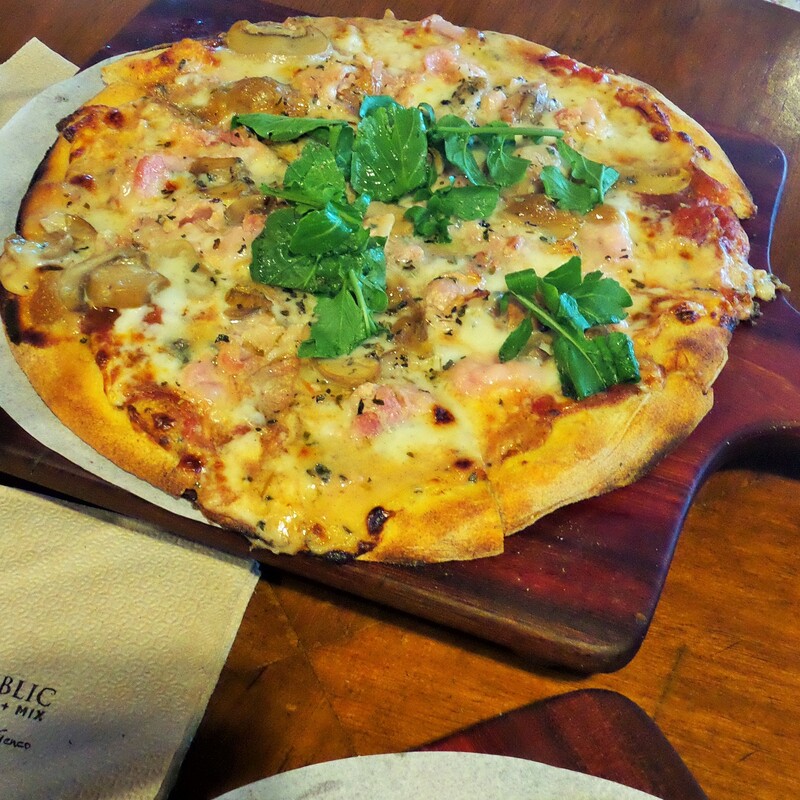 Pizza Republic basically took the food customization concept most identifiable with another local favorite, Kublai Khan, and dished that out in items as tough to do wrong just as they are almost universally recognized: pizza. 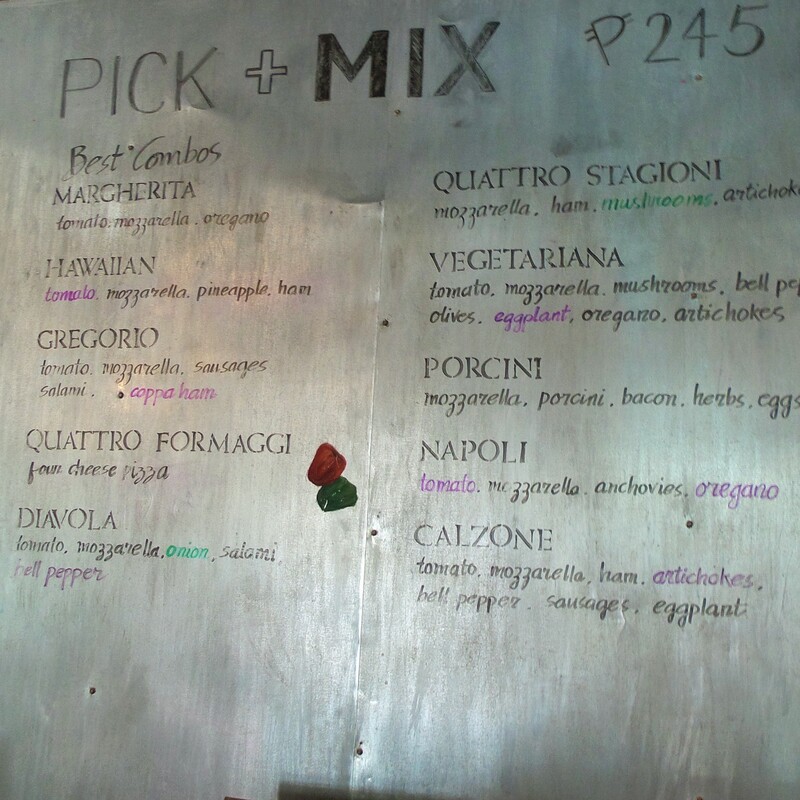 Coupled that with an unpretentious, uber casual, fun vibe and they have the formula for this runaway success. So, yeah, maybe the EDM had something to do with it, the control they gave their customers or the very reasonable pricing. Maybe it was just simply good. Whichever it was, we sure had a good time and left wanting to come back for more. 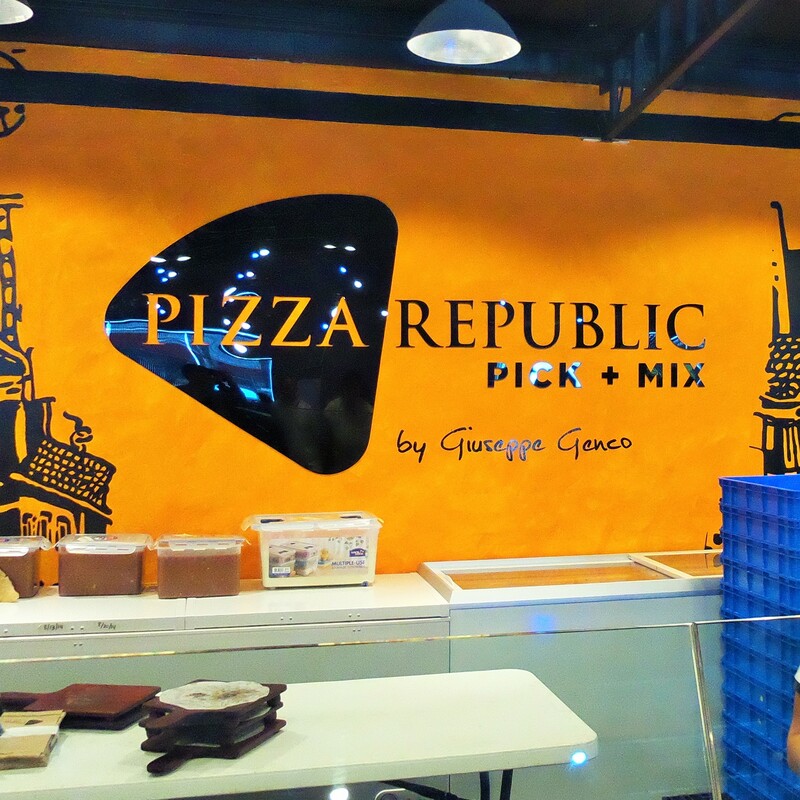 Pizza Republic is located between Islands Pasalubog Center-Lahug and Orange Karenderia along Salinas Drive, Apas, Lahug, Cebu City. 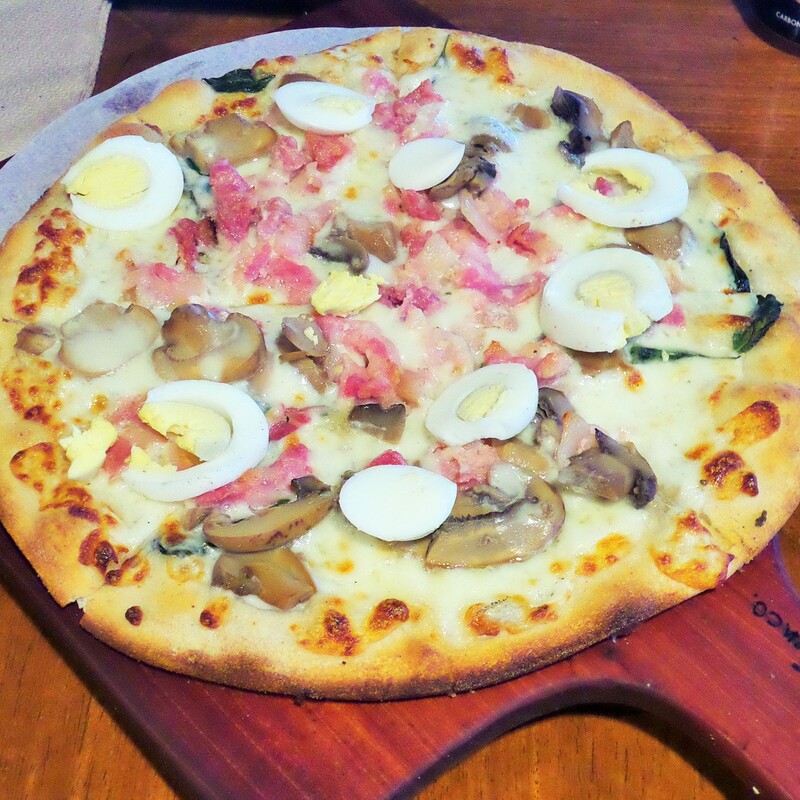 This entry was posted in Uncategorized and tagged arugula, Bacon, cebu, Cheddar cheese, cheese, Food, foodporn cebu, gorgonzola, hamburgero, mozzarella, parmesan, pick n' mix, pizza, Pizza Republic, porcini. Bookmark the permalink. This looks like a great way to get fresh pizza out of the house. 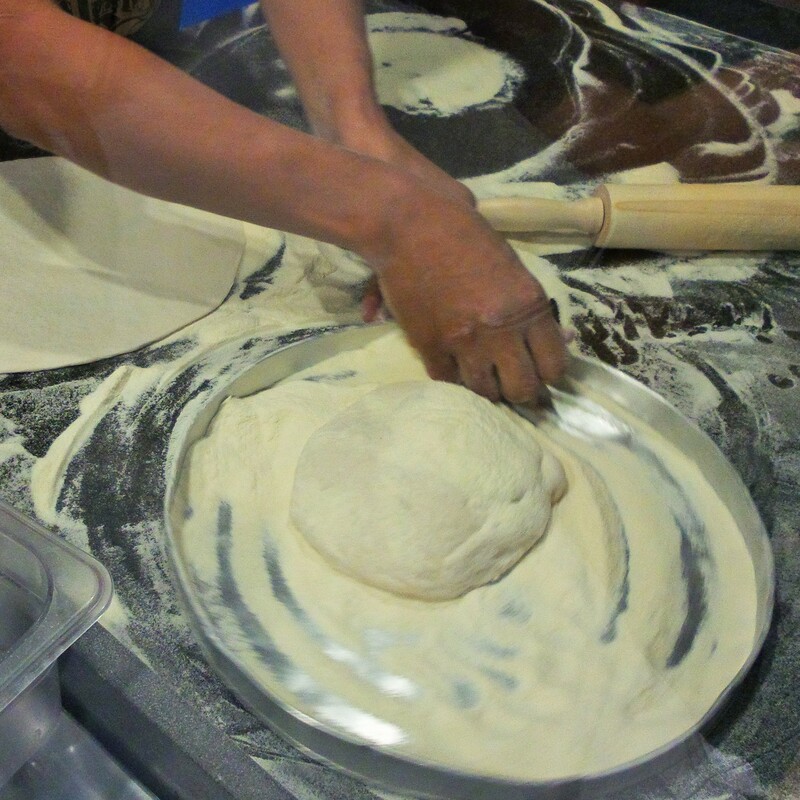 For a simpler pizza but also delicious, you might want to make it at home sometime. Check out my recipe and leave a comment or question. this bit about the heavy metal music makes me think of a study I once read about spiders weaving bizarre webs when exposed to the music!